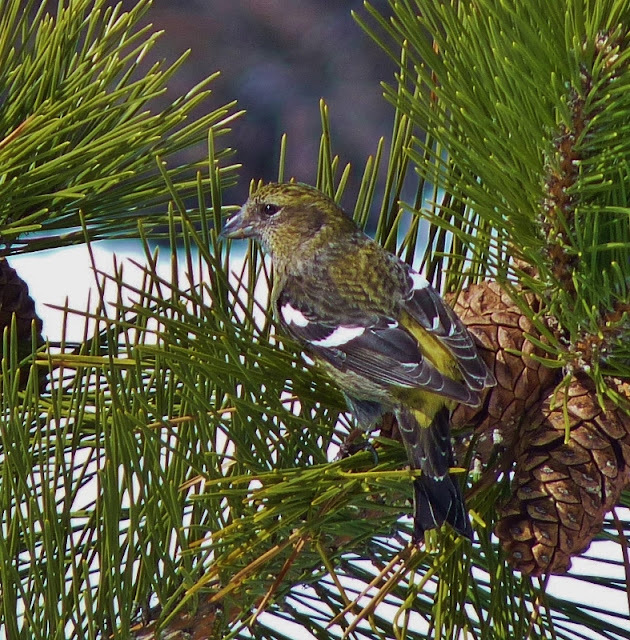 Getting a close up view of birds can make a big difference when your birding. It makes for more exciting observation and makes it a lot easier to photograph them. Using a bird blind is one way of increasing your odds of getting a better view. I have been disappointed with the permanent blinds that I've come across at various locations in Connecticut. Some are set up facing in the wrong direction so that the sun is shining in your eyes instead of on the birds. Others have obstructed views and most of the time I don't see birds anywhere near them anyway. Maybe there's some good blinds out there but I haven't found one yet. Recently I was taking a walk in a secluded wooded area when I came across a group of people who were constructing what looked like a 50 foot tall artificial tree. I asked them what they were doing and they told me they were making a specialized type of blind that allows birders to climb up to the top to give them a view of certain birds at eye level!The height of the tree is adjustable and can be moved to a location near any of the trees in the surrounding area. It is completely concealed by realistic looking branches and foliage. They were building it in an area that is known to have Cerulean Warblers during spring migration. 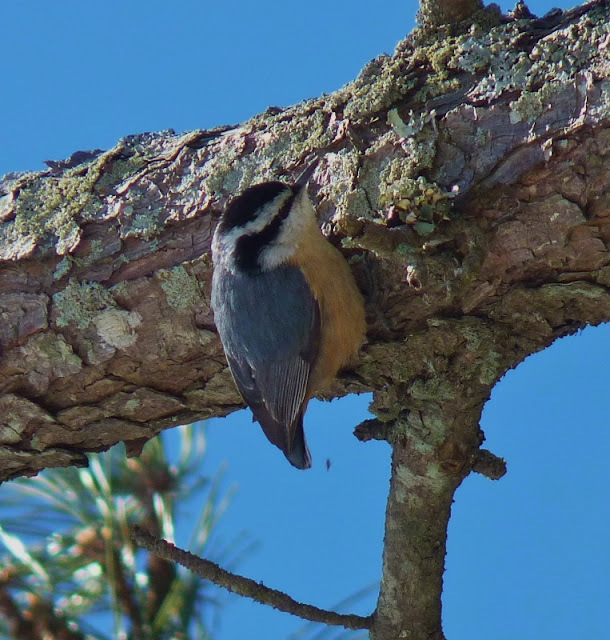 This is a species that is difficult to find in Connecticut and also tough to get a good view of when you're on the ground looking up into the treetops. I've been invited to test this new blind out in the spring and I'm excited about it! They have one design for a blind that looks like a beaver lodge. It has tunnel that leads to the lodge which looks like a strip of land with small trees growing on it. This way you are able to get out to the blind without scaring off all the ducks. 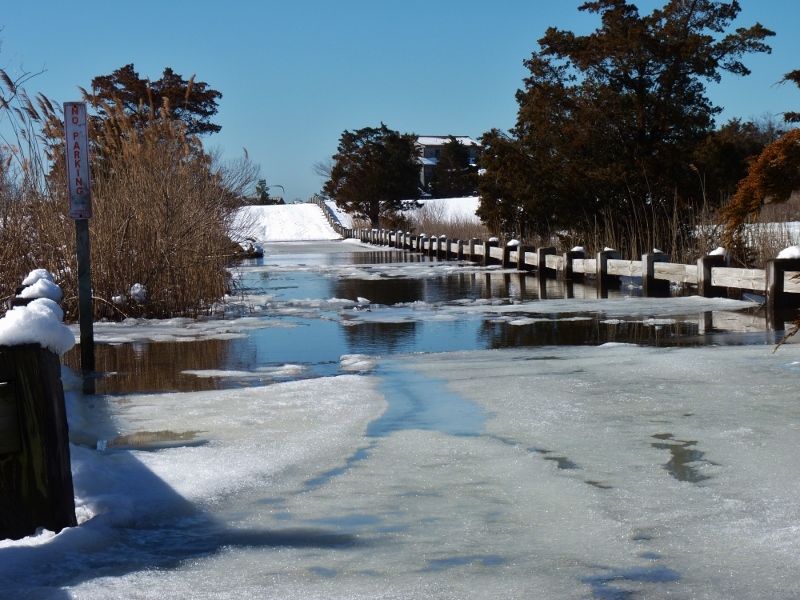 The EBCA has purchased 2,000 feet of prime shoreline property in Connecticut. They plan to construct artificial sand dunes and jettys each with built in blinds. They have already built a rail car which allows birders to travel along an old rail line through a marsh.The car keeps the birders totally concealed and is operated by remote control. Right now I rely mostly on luck to get close-up views of birds and that doesn't seem to happen enough. Being someone who has a point and shoot without much knowledge of photography, I can use all the help I can get. When the EBCA officially opens some time in May I plan to become a member. In order to qualify for a membership you must first pass a 6 week course which looks to be difficult. I know that you have to memorize all the parts of a bird like you see in the field guides. One of the exercises requires you to pick out the songs of various bird species against a noisy background such as city traffic or loud music. There is another part of the training in which you play a jeopardy type of game in which you compete against top birders in the area. It sounds a little intimidating to me but being a member allows you free entry into any of their exclusive sanctuaries after paying your yearly dues of $400. Non-members will have to pay a $40 entry fee for each visit to any of the preserves. Their all will be secured so that no one but members or those paying the entry fee will be allowed in. It is set up in a way so that there will be minimal disturbance to birds and wildlife as you enter the area where the blinds are set up. Most of the preserves are currently in the United States but the EBC is already in the process of expanding to other parts of the world. If it sounds to good to be true please don't take my word for all this. click on this link for the real story behind the EBCA. (-and don't forget what day it is Monday). photos from top to bottom: Northern Waterthrush, Worm-eating Warbler, Red-shouldered Hawk, Eastern Screech Owl, and 1 hungry moose. When I was first given an introduction to birding the most commonly mentioned times to look forward to in the Spring was the month of May because that is prime warbler time but there is a lot to look forward to in early Spring. Right around Saint Patrick's Day the birding starts to get interesting in Portland. that is the time we start to see a variety of ducks, raptors, Wilson's Snipe, and early migrants as we head into April. I started the morning on Sunday with a hike up the Shenipsit trail in Meshomasic Forest. 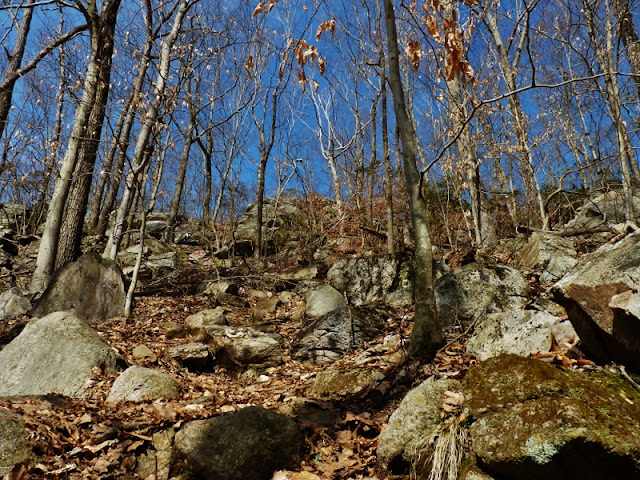 Saint Patrick might have chased the snakes out of Ireland but Timber Rattlesnakes love the rocky terrain of Meshomasic Forest. 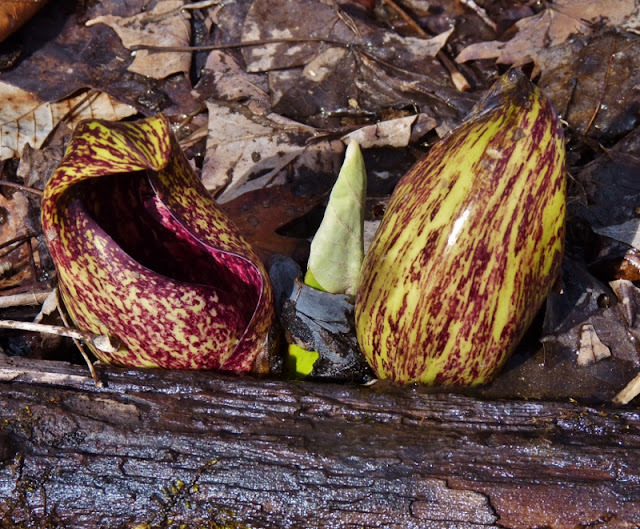 It looks like the skunk cabbage came up just in time for Saint Patrick's Day. Another sure sign of Spring. 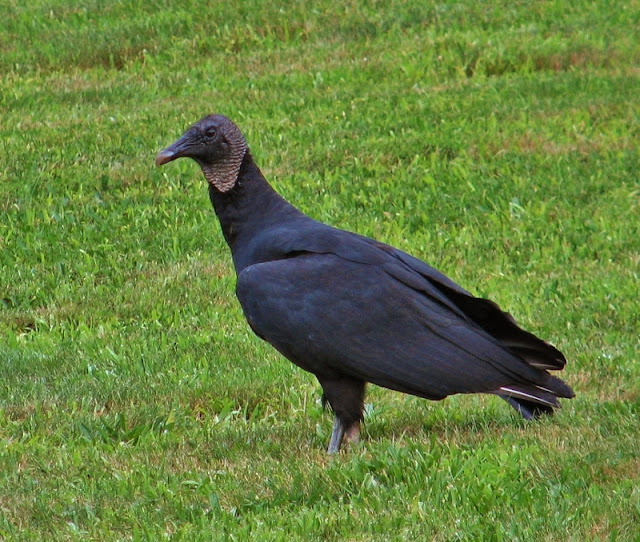 One of the reasons I climbed up Great Hill was in hopes of catching a Black Vulture like this one in flight. I saw a couple of turkey Vultures but no sign of Black Vultures (old photo). After my climb up Great Hill I headed down to the lowlands near the Connecticut River. The Great Blue Herons are starting to increase in numbers at Wangunk Meadows. (this photo taken at another time). I had an interesting eagle sighting. As I was turning away from a flooded canal I started to hear crows calling to one another in trees that were lined up along the edge of the canal. I started looking around to see what all the ruckus was about and an adult Bald Eagle passed over my head at a height of less than 20 feet. 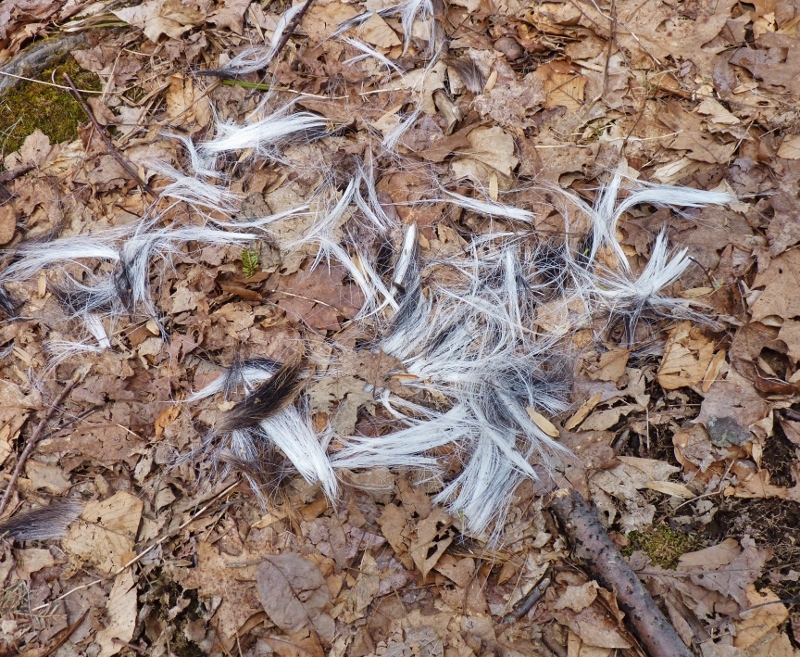 It was interesting to learn the source of the crows excitement and to see the eagle flying solo so low. There is a little skating pond at the edge of the meadows that floods in the Spring. Early in the morning during March and April it is a good place to find ducks. On this particular day I counted over 50 Green-winged Teal and saw a pair of Northern Pintail. 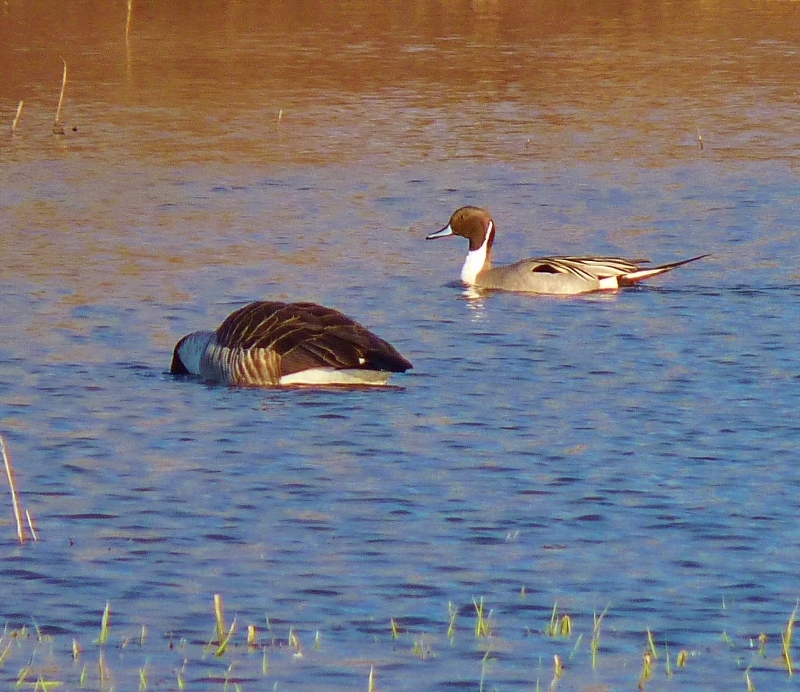 The male pintail is so handsome that the poor Canada goose seems to be hiding its head in shame. There were also many Killdeer and a couple of snipe around the edge of the pond. May might be prime time for warblers but there is plenty to be seen in March and April. 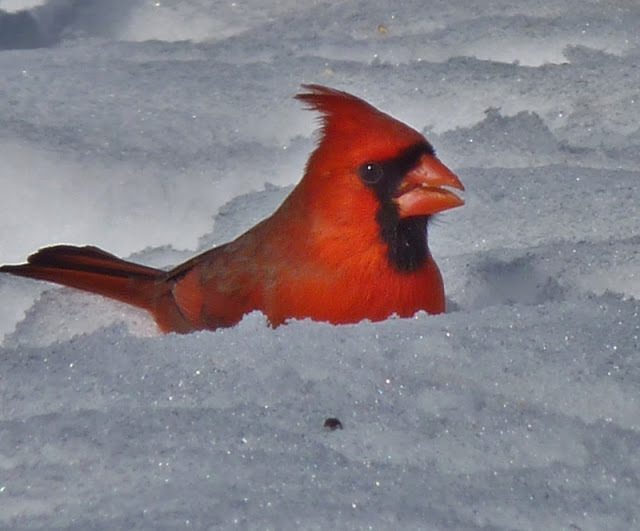 Goodbye Winter Birds And Hello Spring! I took a ride to Hammonasset to have a last look at some of the birds that will soon be on there way. 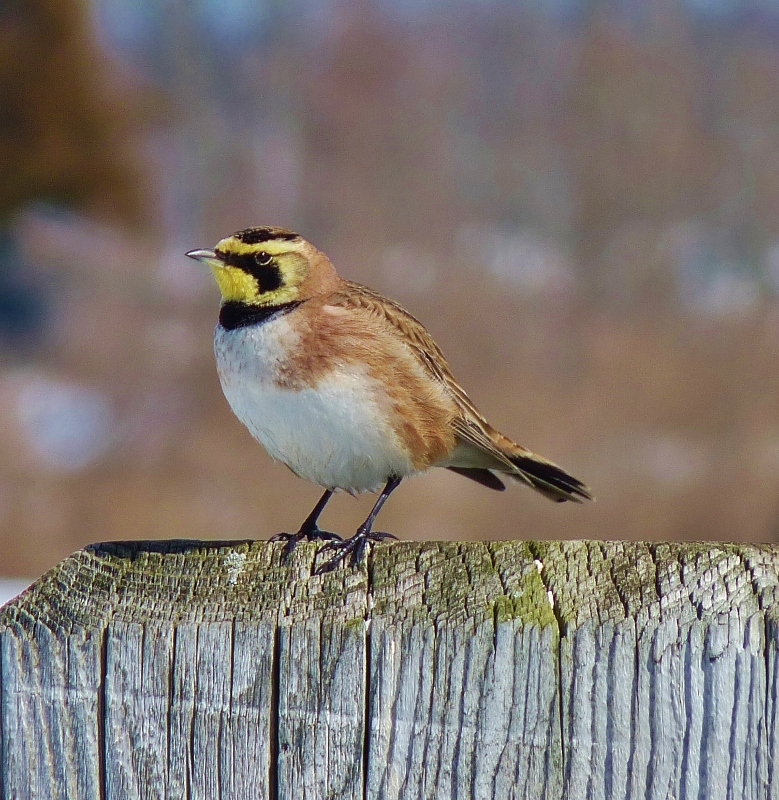 So I said goodbye to the Horned Lark which is the only true lark which is native to North America. A few White-winged Crossbills were still around on Sunday.They'll be on their way back north any day now. There's no guarantee I'll see them again next winter so I was glad to have one last view. Did you know that an individual bird can eat 3,000 seeds in a day? I'm sure I'll be seeing Red-breasted Nuthatches again but sometimes they disappear for a while. I know I'll be seeing and hearing cardinals again but there's something special about seeing cardinals in the snow. The snow should soon be gone for good this year. My tires and my shoes both got wet trying to make may way around the flooded park. The numbers of male Red-winged Blackbirds showing off their red badge of courage. 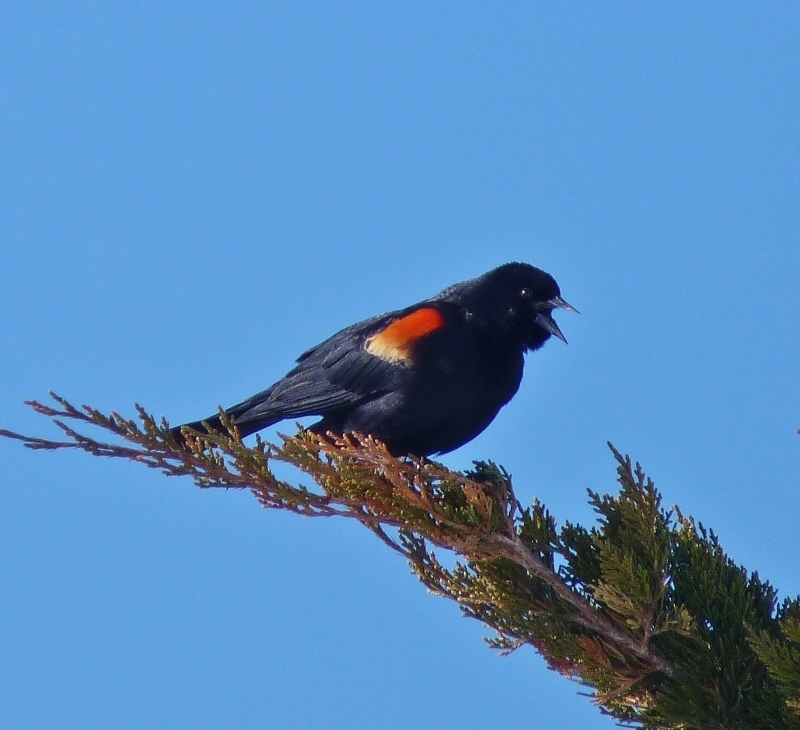 When I start to see lots of Red-winged Blackbirds showing off then I know Spring is very close. In fact, I've decided Spring has officially started today. If the time can be moved forward by an hour on clocks then why not move Spring up by a week? Ernie Allison loves nature. More specifically, he loves birds and wants to teach others how to appreciate them, too. To help further this mission, he writes birdfeeders.com, provider of hummingbird feeders. As children, one of the rules of every classroom and situation was respect. We were told to respect our teachers, our parents, our peers, and ourselves. We were told to leave things as good as or better than we found them in order to respect our environment. One thing that may not have been emphasized as much is to respect animals as well. We might have gotten a general “wildlife” feel from that environment rule, but no specific “respect all living creatures” tenant. One of the reasons that children are recommended to have pets is to improve their relationship with people. When you have a pet, you must care for it and interpret its needs. The same goes for people around us. We need to care for those in our lives, and to do that we must interpret their needs. There are other juxtapositions in the relations of people and animals. In literature and film, animals are often introduced in order to bring more humanity to a situation. In many an action film, people are slaughtered mercilessly, but the scene where the dog dies is deliberately a tear jerker. In order to make a character more sympathetic, they will likely have an animal accompany them. For some reason, animals bring out our humanity. Because of this, it is important to intentionally make respecting wildlife a deliberate part of our lives, and to teach our children to do the same. Here are some ways to do so. You can’t very well learn to respect animals if you’re never exposed to them, can you? And the family beagle is one thing, but there is something special about meeting animals on their own turf, where they were intended to be. Of course, there are a lot of precautions to be taken in the wild for both you and the animals. 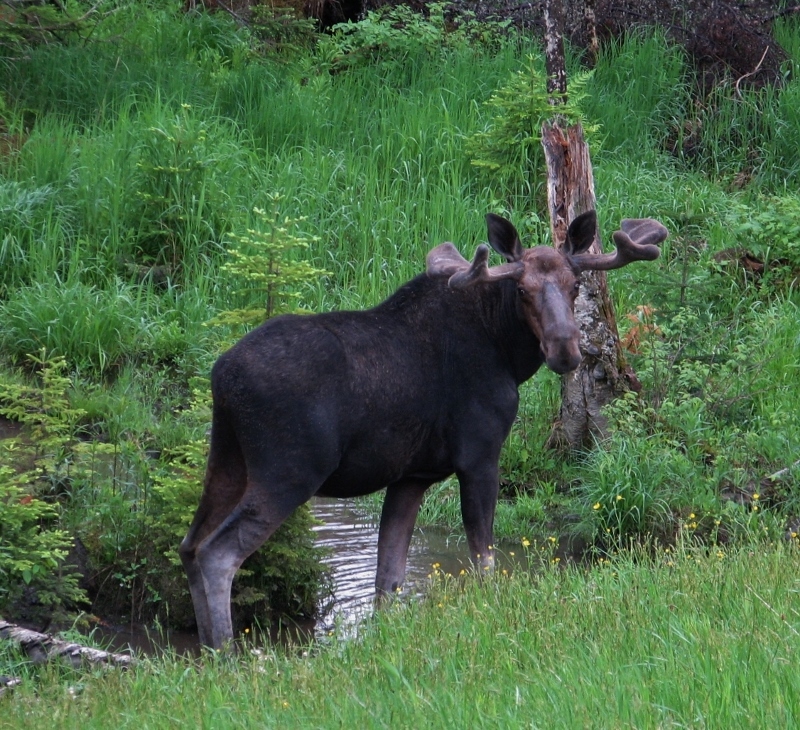 If you’re out hiking, beware of bears, dear, and other wild creatures. Even animals that are not predators can hurt you out of panic if caught off guard. And just like when you’re at the zoo, don’t feed the animals. Not only do you not want to cause animals to be dependent on humans, or not be wary of them (causing them to be easier targets for hunters), but the food you would give them probably isn’t healthy for a human constitution, let alone an animal body not used to it. There are a lot of ways to safely enjoy wildlife. Hiking and camping are the most popular and obvious choices. There are a lot of different types of camping: trailers, tents, yurts, and just sleeping under the stars. You can choose the amount of the modern day that you take with you. If you’re up to it, try to experience nature as purely and unaffected by human technology as possible. As I write this, it is snowing outside and I realize that now may not be the time to be promoting the outdoors. Most of us want to be snuggling up inside as much as possible. But if you bundle up properly, nature has a lot to offer in the winter. Though a lot of the animals are holed up as well, some of them are still quite alert, on the lookout for much needed food. It can be very magical to watch small animals lope through the snow. Winter hikes, snow shoeing, and cross country skiing can all be great winter nature activities, provided of course that you take the proper safety precautions. Sometimes we don’t have the time to get away from our homes to experience nature. Luckily, bringing nature to us can benefit the earth as much as it benefits us. By planting native plants and providing other natural food sources, we can attract native species to our landscape and encourage the local ecosystem to flourish. Research what plants are native to your area and what animals are attracted to them. Birds, squirrels, and many types of insects are the most likely creatures you’ll see in your yard, but depending on your surroundings, you may see deer, rabbits, and other wildlife as well. You’ll also want to consider what to do if you don’t want these critters nibbling on your garden. Pesticides are never a good answer, but certain garden setups can discourage unwanted trespassers. There are a lot of articles with advice on feeding birds and other animals. 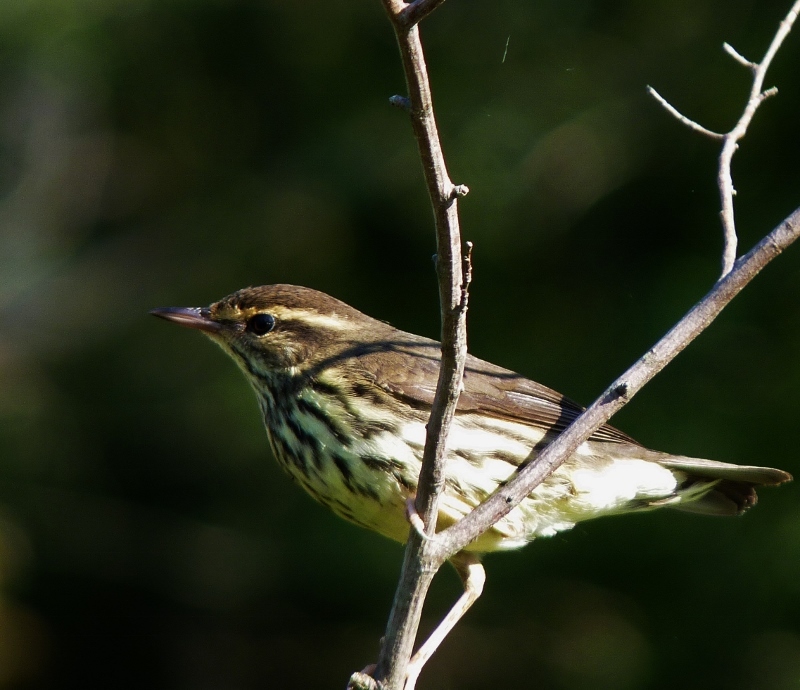 Attracting animals to your yard, especially birds, can have a lot of benefits to you. Your yard gets some natural biodiversity, and you get the opportunity to see and photograph nature’s creatures up close and personal. Just seeing squirrels playing in the yard or birds at the feeder can bring a smile to an otherwise dreary day. A big part of respect is consideration. Sometimes we get so wrapped up in our busy lives that we forget we aren't the only beings on this earth. We go through our consumerism-driven lives without thinking of the effect it has on the world around us. Simply stopping to pick up litter or taking the time to compost instead of filling the landfills can do great wonders to minimize our negative impact on the planet. By taking the time to consider other people, animals, and just the earth in general, you can show the most respect of all. 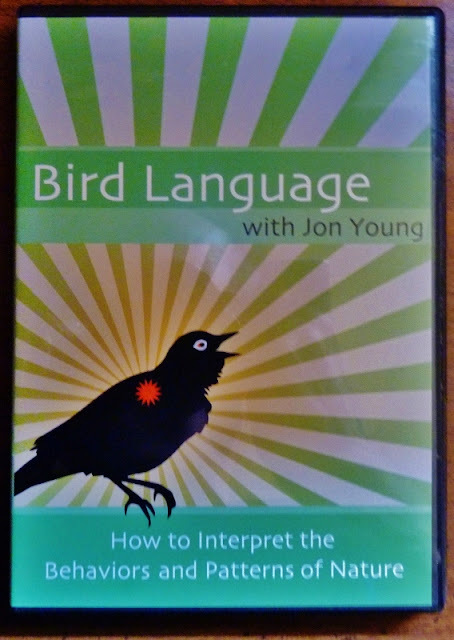 I recently watched a DVD titled: Bird Language with Jon Young. I requested a complimentary copy for preview because the title caught my attention. I wondered how much can you really learn about bird language and what was this video all about? It turns out the video has more to to do about observing bird behavior than it does about bird song. 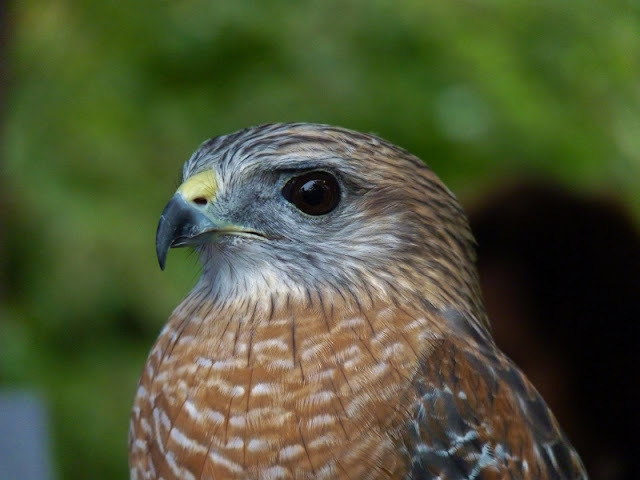 In the DVD Jon Young explains that it is possible to determine whether birds are reacting to a harmless animal, hawk or other predator based on bird behavior. There are clues in the way birds fly off from a location and by the way they position themselves in shrubs or trees. 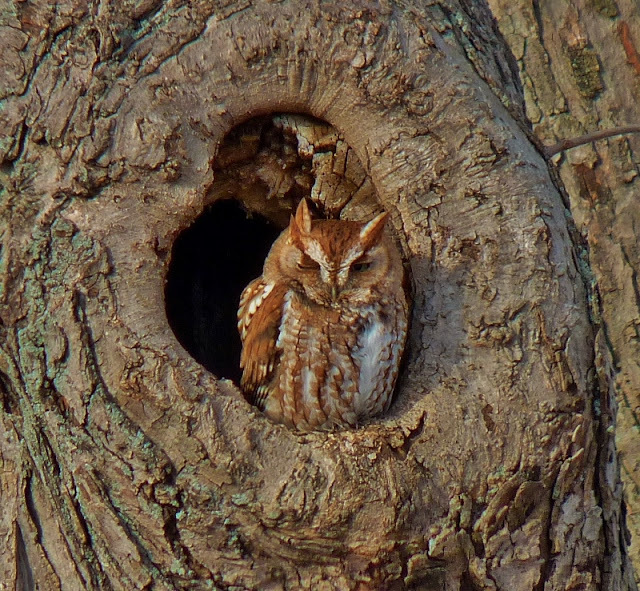 The video also explains how you can increase your opportunities for observing wildlife by paying attention to what birds are telling you. The second disc contains additional material including a segment showing multiple observers spread out in a large open field. They observe interactions between birds and animals and make notes of what they see on homemade maps. Later, they meet to discuss their findings. I would imagine it must be difficult to find birders willing to commit to this type of observation project but wouldn't mind joining in with a group that's already established. Jon spent several years observing birds from the same sit location. He has also visited native tribes living off the land whose survival is dependent on their ability to understand the behavior of birds and animals. After watching the video I believe it is possible to predict what birds are reacting to based on their behavior and vocalizations. It's not always going to be an exact science but the fun is in discovering new things for yourself. The video was made on a small budget that wasn't designed to impress you with its stunning visual effects but I was inspired by the overall concept. It encourages a holistic approach to birding rather than just seeking out and identifying individual species. I am looking forward to enhancing my experiences with nature by applying the principle lessons presented in this video. (I'm reading a book now by Jon Young titled: "What The Robin Knows" It covers a lot of the same material on the DVD but goes into more detail).